As an active think tank working globally to promote Sustainable Consumption and Production, the CSCP was invited to support the China Council for International Cooperation on Environment and Development (CCICED) by co-chairing the CCICED Task Force of Sustainable Consumption and Green Development. During the CCICED Annual General Meeting in November of 2013, Michael Kuhndt, Executive Director of the CSCP, delivered a presentation on the final report and policy recommendations to members of the CCICED and its associated policy research teams. The policy recommendations were approved by the CCICED and were adopted into the final Annual General Meeting (AGM) Policy Recommendations to the government of China. As a result of the recommendations of the Task Force, the CCICED has put Sustainable Consumption and Ecological Civilisation research and pilot demonstration projects into its work plan for the coming year. The plan envisages the CSCP as taking an important role in this next policy implementation phase. 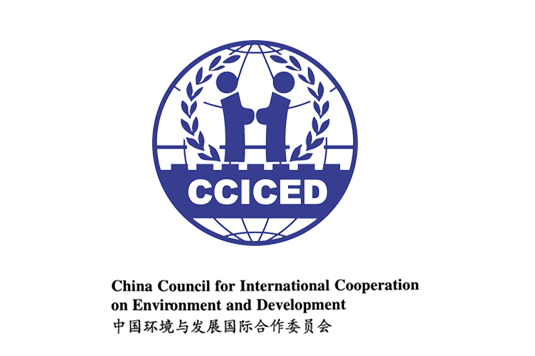 CCICED is a high level not-for-profit international advisory body comprised of high level Chinese and international representatives and well-known experts in the field of environment and development. The role of the CCICED is to exchange and disseminate successful international experience in the field of environment and development; study key environment and development issues in China; provide forward-looking, strategic and early warning policy recommendations to State leaders and decision makers at all levels in China, facilitate the implementation of a sustainable development strategy; and to develop a resource-conserving and environment-friendly society in China.